This is our first foray into teaching Tape Art. 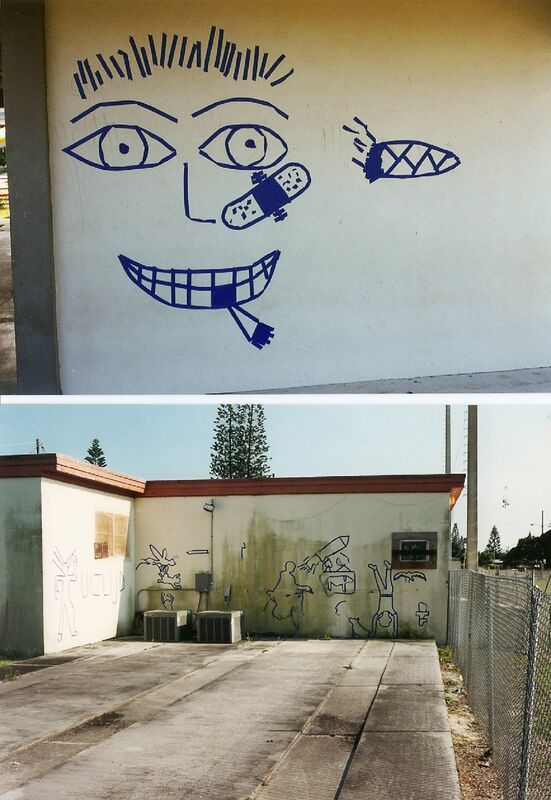 We recieved our first cultural grant to create public murals in Boynton Beach and work in a community center that was the home of two conflicting gangs. After six weeks of Tape Art workshops we saw members of these rival gangs drawing side by side. The people who ran the community center revealed to us that they had never seen these two groups collaborate on anything together. It put into perspective for us how powerful Tape Art could be as a medium for social interaction.